Car Show – Hopkins Raspberry Festival! 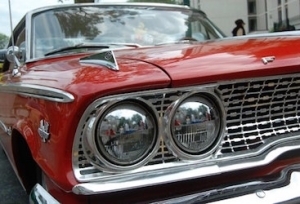 The Hopkins Crusiers are organizing a car show before their 6th Annual Reunion Cruise. The show will feature cars from the member of The Hopkins Cruisers, and will participate in the Reunion Cruise up and down Mainstreet after the Marketplace Craft Fair ends. Registration and vehicle placement opens at 11:00 am. Please have your $10 entrance fee at the gate on the day of the show. Placements are 1st come 1st served. Car Show prizes will be awarded at 4:00 pm. Cruise starts at around 6pm after the barricades are taken down. Any other questions please call or Email Cruisers President Mike Tudor 952-686-1997 mike.tudor7@clarity11.com Thank you and see you at the cruise!